Always: I eat the whole package! Always: I LOVE looking at him jump around throughout the room! 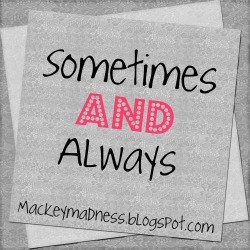 Always: I miss him and try to stay awake untill he's back! Sometimes: I want to surprise a friend and do something totally crazy for their wedding! Always: I'm not sure if I can pull this thing off!!! haha i understand the cookies. sometimes eat half a bag of goldfish... when i start out with just a handful. Why just have one cookie when you can have the whole bag, right? Love your sometimes and always, I agree completely with your first point...it's much easier to just eat the whole package! I just happened upon your blog and it's darling! Hope you are having a wonderful week and Happy Wednesday! It is a common downfall of so many of us to eat the entire bag! LOL I try to take cookies OUT of the bag and put them on a napkin or plate so I don't eat them and eat them only to realize, the bag is empty! hahaha But I know I've been there at some time too. ;-) Oh and I understand how you'd want to squeeze and hug your little bunny all the time! I often feel such fondness for my own two pet rabbits. They are so SOFT! Have a great day! Ah, what a tease! If you pull off whatever it is you're planning, you gotta tell us about it! I always eat the whole packet... I have no discipline when it comes to cookies!